The two most common disabilities among United States veterans are tinnitus and hearing loss. According to the Department of Veterans Affairs (VA) Annual Report for fiscal year 2017, 1,786,980 veterans were receiving disability benefits for tinnitus, and 1,157,585 veterans were receiving disability benefits for hearing loss. Both tinnitus and hearing loss can significantly impact a veteran’s life and future. People suffering from tinnitus will experience a ringing, buzzing, or other noise in their ears. Other complications may include stress, sleep problems, depression, anxiety, and memory problems. Tinnitus can be a permanent condition. Treatment may help decrease symptoms in some people suffering from tinnitus, but it may be ineffective for other people. Tinnitus can be caused by exposure to loud noises. Therefore, military personnel who are exposed to gunfire, explosions, machinery, and other noise hazards are advised to wear earplugs to protect their hearing. Unfortunately, if the earplugs fail, as many dual-ended Combat Arms™ Earplugs Version 2 earplugs did for military personnel in Iraq and Afghanistan, tinnitus could be the result. The same loud noises that result in tinnitus for some military servicemembers can also result in hearing loss. 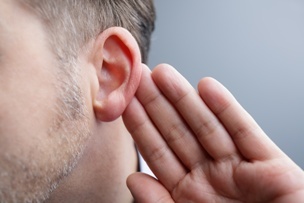 Some people who have hearing loss may begin to hear again after surgery or medication. Other people will suffer permanent hearing loss but may be able to use hearing aids. For many people, hearing loss is a life-changing condition that impacts not only a person’s ability to communicate, but may also cause depression, interfere with relationships, and cause daily hardships. If you suffer from either tinnitus or hearing loss after serving in the United States military, you need to know more about why you were hurt. As a servicemember, you may have been exposed to loud noises such as machinery, motor vehicles, aircraft, and gunfire. If you used dual-ended Combat Arms™ Earplugs Version 2 earplugs and those earplugs failed, you might be facing a future with tinnitus or hearing loss, and you may be entitled to a legal recovery. Our experienced lawyers are here to help any member of the military who has been hurt in this way. You deserved to be protected from injury to the extent possible and not hurt by a product the manufacturer may have known to be defective before you even used them. Our Louisville lawyers are accepting dual-ended Combat Arms™ Earplugs Version 2 cases from military personnel throughout the United States. Call us or reach out to us via this website any time—24/7/365—to learn more.